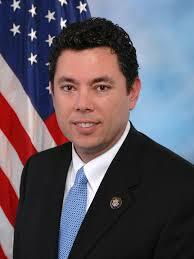 U.S. Rep. Jason Chaffetz, R-Utah. Congressional leaders are demanding answers from Homeland Security following the discovery that it lost 165 firearms in three years. Rep. Jason Chaffetz, chairman of the U.S. House Committee on Oversight and Government Reform, requested Homeland Security inventory records and policies, the Daily Caller reports. The discovery of lost firearms, badges and cellphones was made by the news site, Compete Colorado. The loss of the firearms “shows that the department is consistently unable to safeguard sensitive property,” the congressmen wrote. Between 2006 and 2008, Homeland Security lost 289 firearms, according to the DHS Office of Inspector General. Posted: 2/23/16 at 9:01 AM under News Story.